Hello again and welcome to another Tuesday Tip, my fledgling series of semi-regular-leaning-toward-sporadic posts designed to help answer all the questions I asked when I was just starting to needle felt. 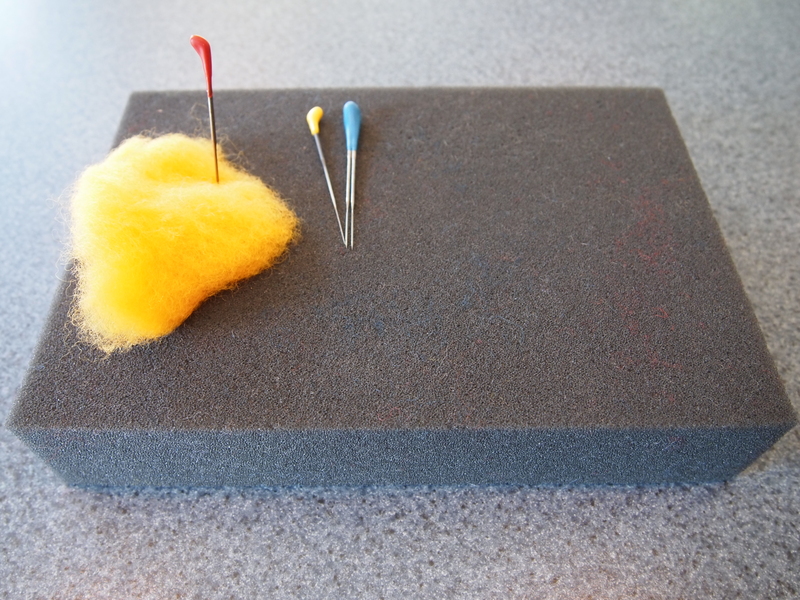 Today’s tip: Get a felting pad, you’ll need it. The one that I use is a high-density pad, and believe me, it saves my lap and table from being repeatedly stabbed by needles. I like the foam for a few reasons: it comes in a variety of sizes, it provides rigid support for projects, while allowing needles to pass through wool with little resistance. You can get your hands on high-density pads at Living Felt or Felt Alive Needle Felting Supplies. You can also use the brush-like Clover Needle Felting Mat. I have the small one and liked it, but the size is really pretty limiting, which makes it great for very small projects. Since I started, my projects have grown in size, so I mainly use the foam pads for my too-big-for-the-mat projects.